In Brazil, basic employment rights are provided for in the Federal Constitution of 1988, which establishes rights and minimum contractual conditions that must be complied with in employment relations. The rights provided for in the Federal Constitution are codified by federal laws and in their great majority are consolidated in the Brazilian Consolidated Labour Laws (CLT), enacted in 1943. The Federal Constitution also sets forth provisions for union association rights and the right to strike. In addition to the CLT, specific regulations are set forth in federal laws for certain professionals (engineers, physicians, attorneys, etc.) and there are also regulations relating to occupational health and safety issued by the Ministry of Labour and Employment. The Ministry of Labour and Employment is the body of the Executive Branch responsible for controlling compliance with legislation and for regulating employment relations in Brazil on matters ascribed to it by federal law. In addition to establishing material rights, the CLT also regulates the entire labour court procedural system, where there is no discovery phase or trial by jury, given that a labour claim must be filed with a labour court and evidence is produced in the proceeding and before the judge who will rule on the case. Actions between employers and employees can be individual or class (multi-plaintiff); however, there are courts that do not accept class actions. Therefore, actions are usually individual. On the other hand, class actions may be brought against the employer by the union that represents the employees or by the Labour Prosecutor's Office itself, so as to defend the interests of employees. The employment courts are divided into three levels. The first includes the lower labour courts in which a judge rules on cases at the trial court level. The regional labour courts are the second level of labour courts and are generally located in the capitals of the states. In regional labour courts, a panel of judges typically rules on appeals against trial court decisions and class actions that involve strikes. Finally, the third level is the Superior Labour Court, which is located in Brasilia, the federal capital. Likewise, a panel of judges rules on appeals against decisions of the regional labour courts that violate the provisions of federal law or the Federal Constitution, or that are contrary to the decisions of other regional labour courts or to summaries of the Superior Labour Court itself. Appeals that address any previously heard facts and evidence are not permitted. In addition to the labour courts, the Federal Supreme Court, which is the highest adjudicative body of the Brazilian legal system, also hears labour cases when lower court decisions violate constitutional provisions. In the administrative sphere, in addition to audits conducted by the Ministry of Labour and Employment through its regional labour superintendents, the Labour Prosecutor's Office monitors compliance with legislation through investigative proceedings. The Labour Prosecutor's Office acts by means of an indictment, which may or may not be anonymous, and also when urged by the labour courts or by a professional union. If any irregularity is found, the Labour Prosecutor's Office can propose a settlement, granting the company a period to remedy the irregularity upon imposition of a fine, or file a public interest civil action against the company, so that the labour courts, by means of a court decision, may require the company to remedy the violation. Congress enacted Federal Law No. 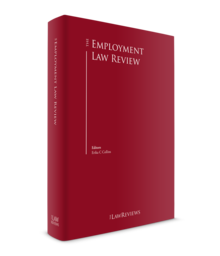 13,467/2017 (the Labour Reform Law), in effect as of 11 November 2017, which implemented extensive changes to several aspects of labour relations in Brazil. Individual and collective employment-related rules were affected. In the context of labour litigation, procedural regulations were also changed. The Labour Reform Law also encompassed Federal Law No. No. 13,429/2017 (effective as of 31 March 2017), which amended provisions on outsourcing and temporary work. On 14 November 2017, President Temer issued Provisional Decree 808/2017, which amended the Labour Reform Law. The Decree, however, was not confirmed by Congress and expired, which meant that it was only in effect from 14 November 2017 to 22 April 2018. Therefore, as of 23 April 2018 only the provisions of the Labour Reform Law are in effect. More than one year has passed since the Labour Reform Law came into force. The purpose of the reform is to provide more certainty regarding the application of labour and employment law provisions for a better business environment in Brazil. However, there have been some challenges – yet to be resolved – before the Supreme Court. Therefore, employers have been cautious in applying some provisions of the Law. In June, the Supreme Court confirmed the end of mandatory union contributions, deciding that it is constitutional to make it optional for employees and employers. As a result of the Supreme Court decision, union contributions have been raised as an issue in union negotiations in Brazil, as they provided the unions with financial support. obligation to disclose amounts claimed when filing labour lawsuits. It is expected that the Supreme Court will decide some of these matters in 2019. Another change brought by the Labour Reform Law is permission for employers to proceed with collective dismissals without previous negotiations with labour unions. The new rule should have been enough to put an end to the long-standing case law issued by labour courts in Brazil that obliges employers to negotiate with unions before proceeding with collective terminations, which is still confirmed by the Supreme Court. However, some labour courts are ruling against the Law. Decisions are being rendered throughout Brazil confirming the obligation to negotiate with unions, despite the change. For example, there are a couple of disputes involving private universities that terminated the contracts of professors during a holiday period in order to restructure the business. A couple of first instance labour courts decided that such terminations were unlawful and granted injunctions ordering the reinstatement of the professors. The injunctions were later confirmed by the regional courts of appeals. The argument behind these decisions is that the Labour Reform Law does not comply with the Federal Constitution. According to some judges, the Constitution determines that unions must engage in the defence of the collective rights and interests of the employees. This rule would implicitly bring the obligation to communicate and negotiate with unions before proceeding with collective terminations. The injunctions granted in the cases involving universities were ultimately overruled by Justice Ives Gandra Martins, who at the time was head of the Superior Labour Court of Appeals (TST). The decisions issued by Justice Martins confirmed the provision in the Labour Reform Law. The Court, however, did not decide the matter through a panel of justices, which leaves a great deal of uncertainty. Despite the decision rendered by Justice Martins, the matter is far from being settled at the federal level. The Labour Reform Law will only prevail when the possibility to have collective dismissals without previous negotiations is ruled on by a panel of justices at the TST or at the Supreme Court. This is expected to take place in 2019. Following the enactment of the General Data Protection Regulation in Europe, Brazil enacted its own General Data Protection law (LGPD). The law was passed in August 2018 and will enter into force in February 2020. The LGPD will have an impact on employment in a number of ways. It affects the gathering, use, treatment and storage of employees' and employee candidates' personal data. Employers' practices such as recruitment, hiring and administering employees need to be adapted and HR procedures must to be reviewed. It is advisable, for instance, to request express consent from candidates who apply for job positions to share their personal information with potential employers, including the maintenance of such data even the candidate is not hired. Consent may be revoked by the candidate or an employee at any time. The LGPD also provides the legal concept of sensitive personal data, which is personal data related to race, ethnicity, religion, health or sexual life, genetics or biometrics, opinions on politics, membership of unions, and membership of religious, philosophical or political organisations. The LGPD provides heavy penalties in case of non-compliance. Fines can reach up to 2 per cent of the company's revenue. In addition to the administrative penalties, the company and its officers may be held liable in criminal and civil proceedings. The examples above are far from being exhaustive, as the LGPD also impacts other legal labour and employment documents routinely requested by employers. Despite the long period until the LGPD comes into force, it is important that employers start to review and adapt their internal procedures to avoid ramifications. Brazilian law does not require the execution of a written employment contract and an employment relationship is permitted on the basis of a verbal employment contract. A verbal agreement is sufficient to comply with the legal requirement for registering the employee in the legally mandated employment booklet and employment registration form (employment documents). In order to eliminate doubts concerning conditions of employment, however, companies tend to execute written employment contracts with their employees, establishing, inter alia, the duties to be performed, salary, working hours, corporate benefits, possibility of transfer, confidentiality and non-disclosure obligations, obligations to comply with internal policies, payment of damages caused by employees due to fault (this requires an express provision in the employment contract), other types of payroll deductions in addition to the legal deductions, agreement of the employee to work overtime, and the offset of hours worked on Saturdays against hours worked on other days of the week. Provisions regarding the probationary period and work for a fixed term necessarily require execution of a contract and relevant entries in the employment documents. In general, there are four types of employment contract in terms of working hours: (1) for employees in general; (2) for employees who perform external activities and are not permitted to control or establish their daily working hours; (3) for employees who hold positions of trust (i.e., employees who exercise management powers within a company); and (4) for employees who work from home. Employment contracts in Brazil are usually executed for an indefinite term. However, contracts may be executed for a fixed term, which is limited to two years. To be valid, contracts for a fixed term must be executed only for services whose nature or temporary character justifies its definite term or for temporary business activities. In the case of early termination of a contract for a fixed term, the company must pay to the employee half of the salary due for the remaining period, which limits this type of hiring in Brazil. Brazilian law renders amendments to contracts null and void if they are to the detriment of the employee, even if the employee expressly agrees to them. Thus, once an employment contract has been executed, the company may not alter it unless the alteration benefits the employee (e.g., salary increase, reduction of daily working hours and promotions). Exceptions to this rule are provided in the Labour Reform Law, which states that certain provisions of employment agreements can be negotiated, either through a collective bargaining agreement (CBA) with the labour union, or individually with the employee when he or she holds a graduate degree and has a monthly salary higher than twice the maximum benefit paid by the Social Security (currently around 11,300 reais). Pursuant to Brazilian law, a Brazilian company can execute an employment contract containing a probationary period that lasts a maximum of 90 days and that may be extended once if it has been executed for a term that is less than the legal limit. For the probationary period to be considered valid, it is necessary that: (1) the probationary period be provided for in the employment contract; and (2) the probationary contract must be included in the employment documents, under penalty of the probationary period being deemed non-existent. If the probationary period has expired and the employee continues working, even if only for one day, the legal consequence is that the employment contract automatically becomes a contract for an indefinite term. In the event of early termination of a probationary contract, the company must pay an indemnity equal to half of the salary due through the end of the probationary period, except if the employer expressly agreed to the same severance pay as would be due in the event of termination without cause of an employment contract for an indefinite period. Proportional severance pay must also be paid (i.e., '13th-month salary' and vacation pay, plus one-third of the vacation bonus). In March 2017, Federal Law No. 6,019/1974 on temporary employment, was amended by Law No. 13,429 to authorise that in the legal event of temporary substitution of regular and permanent staff due to an increase in business demand, temporary workers may be hired for up to 180 days, which can be postponed by 90 days if the increase in business demand arose from unpredictable factors, or predictable factors related to intermittent, periodic or seasonal features. These workers will be employed by an agency that is authorised by the Ministry of Labour to render this type of service. They cannot replace workers who are on strike. The contracting company is responsible for ensuring that health and safety conditions are met when temporary workers perform services on its premises. Medical facilities and meals that are granted to the contracting company's own employees must be provided to the temporary workers. The manpower company is responsible for paying salary to the temporary workers. However, the same wages and other contractual rights granted to the employees of the contracting company must be also provided to the temporary workers whenever they have similar functions. At the end of the temporary contract or in case of early termination without cause, the manpower company will have to pay severance equivalent to one-twelfth of the payment received by the temporary worker. Brazilian law does not forbid the hiring of employees by a foreign company. However, if an employee is hired by a foreign company to work in Brazil, Brazilian labour laws and jurisdiction will prevail, irrespective of whether the employment contract provides for the application of the laws and jurisdiction of the foreign country. Instead of hiring an employee, a foreign company may engage consultants or independent service providers. If the services are to be performed in Brazil, the law also provides that Brazilian law will apply and that Brazil will have jurisdiction. Care should be taken to ensure that this type of service agreement is not confused with an employment contract. The employee, consultant or service provider of a foreign company providing services in Brazil may not perform any acts that could be construed as 'doing business in Brazil'. Regarding the concept of doing business in Brazil, Brazilian domestic legislation does not provide for the notion of 'permanent establishment' as that term has been construed by international tax doctrine, foreign laws and model conventions to avoid double taxation. Furthermore, Brazil and the United States have not entered into a double taxation treaty pursuant to which the notion of permanent establishment could be addressed. The most similar thing to regulations on a permanent establishment is Article 147 of the Brazilian Income Tax Regulations, which sets forth very specific situations in which Brazilian tax legislation subjects non-residents to the same tax regime applicable to Brazilian tax residents. In this sense, Article 147 lists hypotheses in which non-residents would be deemed to be doing business in Brazil by means of an organisation of persons or assets. As a result of the application of Article 147, income derived by the non-resident through the organisation of persons or assets would no longer be subject to territorial taxation (which is the standard regime applicable to non-residents) and would be subject to the general tax regime applicable to Brazilian resident legal entities to the extent that such income can be attributed to activities carried out in Brazil. whenever a resident agent, commissioner, representative, or proxy holder engages in business in Brazil on behalf of the non-resident, holding powers to contractually bind the non-resident to third parties. In addition, it could be argued that the Brazilian tax authorities could attempt to claim that a de facto permanent establishment in Brazil exists on the basis of Article 126 of the Brazilian Tax Code, which provides that tax liability arises regardless of the formal or legal incorporation of an entity in Brazil, recognition of an economic or professional unit being sufficient. In this context, while Brazilian law acknowledges the legal personality of foreign legal entities, it does not embrace the freedom of establishment of such entities as the laws of several foreign countries do. In other words, Brazilian law (Article 1,134 of the Brazilian Civil Code) requires foreign legal entities to obtain authorisation to carry out their activities in Brazil. If a foreign company establishes a subsidiary in Brazil, it will not be able to hire employees until it has filed its organisational documents (articles of association or by-laws) with the commercial registry of the state where the subsidiary is located. Once the subsidiary has been registered with the Ministry of Finance and the Social Security Agency, and has obtained operational licences (including regulatory authorisations, if applicable) it may commence activities and hire employees, since it may now generate its payroll and pay the respective taxes and social charges. In Brazil, there is no legally provided time frame for the incorporation of a company, but in general, the level of bureaucracy means that the time usually ranges from two to six months and sometimes more, particularly when registration of a regulated activity is involved. Hiring consultants or service providers through an intermediary company is possible. The remuneration paid to employees triggers social security contribution obligations, the percentages of which vary according to the salary earned by the employee, as per the table below. Employees must pay income tax related to total compensation, which must be deducted by the employer. Employers are required to withhold tax and pay the amounts directly to the Federal Revenue Office, providing the employee with annual information that is necessary for the preparation of his or her annual tax return. Withholding percentages vary according to the salary paid, as per the table below. In addition to the payments based on employees' salaries, employers must pay social charges to social security services. The basic social tax rate applicable to the company on salary paid, payable or credited to an employee that provides services for it is 20 per cent. The calculation base is total compensation paid, payable or credited for work on any account during the month to the socially insured employees providing services. Regarding non-employees, the social security contribution rate payable by the company that contracts them is 20 per cent on total remuneration paid or credited to any account. Contributions are not levied to cover the cost of occupational accident insurance, or social security services that are specific to the economic activity of the company. During the term of the employment contract, the employee has a duty of loyalty to the employer and therefore cannot carry out competing activities, on pain of termination for cause, unless the employer has given authorisation in this regard (intermittent work on demand is an exception to this rule). On account of the constitutional principle of the freedom of every person to work, the employee may carry out competing activities after contractual termination of employment, unless he or she has executed a non-competition agreement with the employer. The effectiveness of a non-compete agreement after termination of employment is a concept that demonstrates competing concerns. One view is that non-compete provisions are always invalid, even if there is payment of consideration and the non-compete agreement is limited in time, territory and relevant business activities. Another view is that the constitutional principle of freedom to work is not absolute and can be limited, provided that there is reasonableness and that it is necessary to protect the employer's business. In this regard, in order for a non-compete agreement to be valid after termination of the employment contract, it must be executed at the moment of hiring (it can be included in the employment contract or in a separate document) and must meet the following requirements: (1) it must be limited in geographical area; (2) the former employee is compensated during the non-competition period; (3) it must be for a limited period of time; and (4) it must be limited to the business area of the employer. Although there is no regulatory legislation, the labour courts have judged non-compete agreements to be valid only when the four requirements are present and provided that the compensation established for the period of non-competition is equal to the salary received by the employee during the term of the employment contract. It must be noted that upon contractual termination, if the employer requires the employee to execute a non-compete agreement, the employee is not under an obligation to do so. Regarding confidentiality and non-solicitation agreements after termination of the employment contract, these will be valid and payment of an indemnity will not be necessary. For these obligations to be valid after termination, an express agreement in this regard is required. The company may choose to execute a separate document, provided that it is executed simultaneously with the employment contract. The employment contract must also contain provisions governing the protection of intellectual or industrial property to the extent applicable and particularly in accordance with the duties being performed by the employee. Regarding provisions concerning inventions created by the employees (works made for hire) that are the property of the employer, the contract must provide that compensation paid already includes compensation for intellectual property comprising inventions and enhancements. The Federal Constitution establishes that the maximum number of hours to be worked by an employee is eight hours per day and 44 hours per week, totalling 220 hours per month. Working hours on Saturdays may be offset by means of a written agreement, so as to be distributed throughout the five business days of the week, whereby Saturdays will be considered a non-worked business day. Overtime worked on Saturdays may misrepresent the offset, and the time resulting from the distribution on weekdays of hours worked on a Saturday may be considered overtime. Another aspect is that if the employee is hired to work 220 hours per month but actually works only 200 or 210 hours on account of the company's policy, the company's practice will prevail and the monthly base will not be the contractual covenant of 220 hours, but rather the covenant that results from practice. Special working hours may include uninterrupted rotating shifts, which may only last a maximum of six hours per day, and may be extended to up to eight hours per day subject to a CBA. The company must grant a break for rest and a meal whenever the working period is more than four hours, which will be 15 minutes for a working period of up to six hours and of one to two hours for a working period of more than six hours. The break for rest and a meal is not included in the daily working hours. Working hours do not apply to employees whose working day is proven to include 100 per cent external work with no control of time or hours worked (including employees under home office schemes), as well as to employees who are shown to hold positions of trust, in other words, employees who perform management (or administration) activities as legal representatives of the company and who are not subject to time or hours worked, or monitoring or control. This deprives these employees of the right to payment of overtime in the circumstances mentioned. Such employees have the right to a weekly day of rest on Sundays. Companies with more than 10 employees are required to maintain control of workdays of employees who are subject to compliance with working hours. Working hour records may be manual, mechanical or electronic, so that employees may record the time of entry, exit and breaks. The 'British punctuality' working day is not valid (i.e., if the employee always records the same time, it may be understood that the employer is forcing him or her to do so for the purpose of not paying overtime). Employees may be excused from recording their time of entry, exit and breaks provided that there is a CBA in this regard, whereby the employee would then only record overtime hours. In relation to the form of recording hours worked, if the company opts for electronic control, it must follow the guidelines of the Ministry of Labour and Employment found in Ordinance No. 1510/2009, which establishes, inter alia, the issuance of reports by the time recording system and the use of time recording equipment validated by the Ministry of Labour and Employment. If the employee works beyond his or her contractual workday, the company must remunerate the excess hours as overtime, with a minimum rate of 50 per cent over the wage for a regular hour, although there are CBAs that establish higher percentages. The employee may only work two overtime hours per day, so that the working day is limited to a maximum of 10 hours. Hours worked on Sundays or holidays, if not offset in the subsequent week, must be remunerated by 200 per cent of the ordinary wage, irrespective of whether they exceed the daily or weekly limit. The Labour Reform Law provides that the length of time it takes employees to get from their home to their workstation or workplace is not part of working hours and therefore not subject to overtime. The previous rule provided that this period of time was part of working hours when the employer provided transportation to the employees because the location of work was in a remote area or in an area with no public transportation available. personal activities such as religious activities, rest, recreation or leisure, personal studies, eating, personal networking, personal hygiene and uniform change when there is no obligation to do it at the employer's premises. Foreign workers may work in Brazil if they hold a residency visa, which is temporary. Requirements for granting visas are set forth in the law and in the regulations of the Ministry of Labour and Employment. For the granting of a temporary residency visa, among other requirements, the foreigner must receive a job offer from the Brazilian company (subsidiary or not) or show evidence that he or she has graduate degree. In relation to a temporary visa where the employee has an employment contract with the Brazilian company, upon fulfilment of job qualifications and experience requirements, the maximum term is two years, which can be postponed subject to application and confirmation by the immigration authorities. In relation to foreigners holding this visa, the number of foreigners is limited to a proportion of one-third of the total number of Brazilians hired by the company, in addition to compliance with the rule of two-thirds of payroll salaries. Furthermore, if the foreigner performs work that is also performed by a Brazilian employee, other requirements such as salary parity may apply, as provided for by the Ministry of Labour. The proportionality requirement is only applicable for purposes of immigration. The employee must receive remuneration in Brazil and, if he or she continues to receive remuneration from the company abroad, he or she must submit for purposes of taxation in Brazil the totality of his or her monthly earnings (in Brazil and abroad). Thus, the Brazilian company must consider for tax (and also for FGTS) purposes the amounts received by the foreigner abroad. It should be determined whether there is a tax treaty in place between Brazil and the country of origin for purposes of offsetting taxes. Dependants of a holder of a temporary visa may also work in Brazil provided that they request authorisation from the immigration authority. When working in Brazil, a foreigner that has the status of an employee of a Brazilian company is protected by Brazilian labour legislation, irrespective of the provisions of a foreign employment contract. Thus, the company must provide to the foreigner the same rights guaranteed by law to Brazilian workers and it is advisable that he or she be included in the local benefits policy. The provision of services by a foreigner who does not hold a work visa or whose visa has expired or is irregular may result in administrative sanctions for the company and deportation of the foreigner. Foreigners holding visit visas (for tourism or business) are not authorised to perform work activities subject to payment. Exceptions apply for audits, consultancy, news coverage (journalism), and working on flights or vessels as a crew member. Brazilian legislation does not prohibit the application of global policies to employees, provided that such policies do not violate Brazilian law (when applicable) and it is not necessary to obtain approval by the employees or by any government agency for the policies to be implemented. An example is demotion, which is not valid in Brazil, even if the employee agrees to such a move. Policies on discrimination, sexual harassment and corruption must comply with applicable Brazilian law. A global policy should be implemented with care, because concepts, expressions or even words may have a different legal effect if applied in Brazil, giving rise to consequences that would otherwise not occur in other countries. An example is anti-corruption legislation, such as the US Foreign Corrupt Practices Act – practices may be in accordance with the legislation of the country of origin, but as far as the policy in other countries is concerned, including with regard to the form of a potential investigation, such practices may have legal implications. Thus, prior analysis of the possibility of application of the policy is recommended. The policies become constituent parts of the employment contracts, including disciplinary measures, and may not be altered to the detriment of the employees. The policies must be implemented in Portuguese to avoid any allegation by the employee of lack of understanding thereof and so that they can be enforceable. As for the form, they may be written or distributed via the company's intranet. It is important for the company to have written or documentary evidence of the employees' awareness of the policies, particularly if, based upon the terms of such policies, an employee could fail to receive any payment due to him or her or be subject to a disciplinary measure. In the event of subsequent implementation, depending upon the nature of the policy (e.g., a code of conduct or ethics), it is recommended that the company offer training for the employees and have evidence of such training, on account of the potential civil liability of the company in the event of damage caused by the employee to another employee or to third parties. If the company so wishes, it may also maintain a copy available for employees on its intranet. Documents in a foreign language coming from abroad will only be valid in relation to third parties and the Brazilian government if they are certified by an entity that is authorised in the country, or by the Brazilian consular office, if applicable. Pursuant to the Civil Code, such documents must be translated into Portuguese by a certified translator. In turn, to avoid questioning about obligations in documents written in a foreign language and signed by Brazilian employees, it is recommended that such documents be drafted in Portuguese. This is because if they are written in a foreign language and are challenged, the company will have to prove that the obligations included in the documents were understood by whoever signed them, which may not always be possible. Accordingly, it is recommended that all documents such as job offers, employment contracts, internal policies, confidentiality agreements and bonus policies, be executed in Portuguese. There are cases in which, although the document is written in a foreign language, if the subject matter of the dispute favours the employee, the labour court will accept such document as valid if it is accompanied by a duly certified translation. Yet, if the dispute concerns a condition that is contained in a document in a foreign language that is harmful to the employee, if the employee alleges that he or she does not understand the foreign language, either spoken or written, but has nonetheless signed the document, the labour court may rule that the document is invalid. However, if the employee has demonstrated spoken and written proficiency in the foreign language, whether the document will be enforced will depend upon the interpretation of the court. The Labour Reform Law regulates this matter, as provided by Articles 510-A, 510-B, 510-C and 510-D of the Labour Code. more than 5,000 employees: seven representatives. These representatives have provisional job security for one year after they have completed their term as a representative. Irrespective of the constitutional norm mentioned above, employees are represented through the union of the profession to which they belong. To be entitled to such representation, there is no need for employees to be unionised. They only need to work at a company of a given economic sector in which there is a union representing their profession to be automatically represented by the union, and as such, to receive the benefits of any agreements that the union executes with the employer or with the employer's trade association. For this purpose, payment of annual union dues was mandatory and used to correspond to one day of the employee's salary; however, under the Labour Reform Law, this obligation no longer applies. If the employee wishes to be a member of the union, he or she must pay monthly dues to the union and be entitled to the assistance provided by the union to its members. Companies may not hinder union membership of their employees, and in the event an employee should wish to become a union official, his or her employment contract may not be terminated by the company during the corresponding term of office and for up to one year thereafter. An employee who is a union official can only have his or her contract terminated because of serious misconduct and in accordance with the specific procedures for termination for due cause provided in the CLT. Otherwise, termination may be deemed invalid. In addition to monthly dues, unionised employees are also required to pay other types of contributions to the union. Employees are also represented in the Internal Committee for Prevention of Occupational Accidents that a company must set up, according to the level of risk of the company's activity, as well as the number of employees. Employees elected for this committee will have employee rights during their term of office and for up to one year thereafter. Finally, a provision in the Federal Constitution (Article 7(XI), final section) provides that employees may have active participation in the management of the company. However, there is an understanding that a specific law is required to regulate such active participation. Very few companies in Brazil have accepted, whether voluntarily or by means of a CBA, to have this representation in their management. In addition to the LGPD, which was enacted in 2018 and will come into force in 2020, a principle in the Federal Constitution already protects employees' intimacy and privacy. Employee personal data that can be requested by the employer is that which is inherent to the hiring of an employee (in order to fulfil the employment agreement), as well as that which is required by labour legislation. Such personal data does not include sensitive data. Employee personal medical data may not be disclosed to third parties, and it is certain that only the employee, his or her private physician, or the company's physician may have access to such information. If it should be necessary to use the medical data, the employee must provide his or her express consent. Employee data that may be required by the government includes that which relates to the federal government through the annual report on social information, the general report on employment and unemployment, and the severance fund payment receipt and social security information. It is also advisable to inform the Federal Savings Bank regarding the transfer, so that the employees' severance fund accounts will not be split. This is done by means of a special form requesting the transfer of accounts, where employer is required to provide employee data. On account of the constitutional principle of the right to privacy, information on employees cannot be made available to third parties, unless the employee provides his or her express consent. Brazilian law provides that the business group is the sole employer, which is why the transfer of information about employees of a Brazilian subsidiary to its headquarters is possible, provided that access to such information is limited to the headquarters (i.e., not made available to third parties) and the transfer can be justified for purposes of fulfilling the obligations in the employment agreement. It is recommended that the use of data, and the transfer and maintenance of information in a database handled by third parties, be preceded by express authorisation of the employee. In addition, the company should include such terms in employment contracts or even maintain a policy related to the protection of personal data, in the sense of stating what data will be used, transferred and maintained in databases used by third parties, together with the express agreement of the employee. Likewise, it is also recommended that the policy state that the company's systems are monitored and that any personal data entered by the employee on the company's system may be at risk of disclosure. The CLT has no specific provisions on what types of background checks an employer may conduct to investigate a job applicant or an employee during the employment relationship, and there are also no provisions setting out limits on employers undertaking such investigations. Thus, background checks are reviewed according to the principles of the Federal Constitution related to the protection of employees' intimacy and privacy. Certain practices related to background checks can be adopted by employers, provided that they are reasonable and proportional to the work to be performed by the employee. Background checks related to education, previous jobs (position, period of employment, salaries and benefits) and other information, such as registrations with professional class councils, can be conducted by the employer, as well as a background check requesting an employee's criminal record, as long as this can be reasonably justified. However, a criminal record check may only be conducted in connection with a position that merits such a check or a position in a financial area or that requires the handling of client funds. Checking the employee's financial condition with credit institutions is also permitted. Whenever a background check is conducted, the company must obtain the prior express consent of the employee (otherwise, if the employee is not hired or has his or her contract terminated, he or she may claim discrimination or invasion of privacy, or both, and seek monetary damages). There is no law forbidding termination of employment in Brazil, except in the cases of vested employee rights provided for by law, such as for a pregnant employee, a representative of the workplace's internal committee for the prevention of occupational accidents, an employee who has suffered an occupational accident, a union official or in a case of vested employee rights provided for in a CBA. In the event of termination without cause, the employee must receive an indemnity corresponding to termination and indemnity rights (severance pay) and at least 30 days' prior notice of the termination, with an additional three days for each full year of employment. There is no formal procedure for termination without cause, in which case it is common practice to deliver a written notice to the employee with information concerning compliance with the notice period or compensation in lieu of notice. Severance pay must be paid within 10 days from the termination date. The decision as to whether the employee should work through their notice period is made by the employer. In the event of resignation, the employee must inform the employer of whether he or she will work through the notice period and it is common for the employee to request a waiver from the employer in this regard. If the employment contract has been effective for more than one year, termination must be ratified by the union of the professional category of the employee in question or with the Ministry of Labour and Employment. In Brazil, if the employer needs to terminate employee contracts because of new technology rendering their services unnecessary, the need to cut costs or if the activities of the company are to be terminated or transferred, the employer may simply terminate the employment contract without cause with notice (preferably in writing) and with the payment of severance, which is mandatory in such cases, to the employee. Where redundancy terminations are necessary, a review should be undertaken to determine whether the company employs any workers possessing vested employment rights, as such employees may not be terminated as a result of redundancy. Certain CBAs grant benefits or provide for indemnities upon terminations deriving from redundancy, and certain employers offer payments that are higher than those provided for by law when contractual termination occurs as a result of discontinuance of a job or function. In such circumstances, it is also sometimes the case that consultation with the union is required before effecting the terminations. Labour legislation provides that changes to corporate shareholdings do not affect employment contracts with employees. Thus, in the event of a change of control, a previously existing employment contract is maintained and employees may challenge any alteration made to the employment contract that is detrimental to them. Employment succession will be considered whenever there is continuity of the business. Thus, even if only the assets of the Brazilian company are being acquired (totally or partially), labour succession of employers will still be considered and existing contractual employment conditions must be maintained. Likewise, if the successor company continues to employ its employees, but in the future ceases to pay employment rights or its partners cease to exist, nothing can hinder employees, including those that came with the business, from holding the company that acquired the assets, totally or partially, liable for the obligations. The predecessor company will only be held jointly and severally liable with the successor if there was fraud in the transfer of business. The Labour Reform Law provides that former shareholders are secondarily liable for labour-related debts related to the period in which they were shareholders. This liability is limited to labour lawsuits filed up to two years after the company's by-laws were amended to allow for the shareholders' removal. Before proceeding with enforcement attempts against the former shareholder, the plaintiff must try to enforce the award first against the company (employer) and then against its current shareholders. In case of fraud in the change of the corporate shareholders structure, the former shareholders will be jointly and severally liable for labour-related debts. any other compensation or benefit contractually agreed with the employee. FGTS: deposit in the employee's blocked account (equivalent to 8 per cent of the employee's pay) in the termination month. FGTS: deposit in the employee's blocked account (equivalent to 8 per cent of the employee's pay) in the termination month, as well as upon 13th salary. Termination by mutual agreement is also possible, according to the Labour Reform Law. In this case, the severance pay is exactly as stipulated in the termination without cause on the employer's initiative, except for (1) the notice, which is reduced by half, and (2) the FGTS fine, which is also reduced by half (from 40 per cent to 20 per cent). Moreover, the employee may collect only 80 per cent of the FGTS deposited in the employee's severance fund account. In any termination, the Labour Reform Law provides the employer with a 10-day term from the termination date for paying severance. The current economic, financial and political situation in Brazil, together with the consequences of Operation Car Wash, has produced several changes in the organic relationships between government agencies and institutions, and in the dynamic of commercial deals in Brazil. In addition, the Labour Reform Law has reduced the number of lawsuits, and presents an opportunity to review companies' practices in order to reduce labour-related costs. The new federal government, elected on November 2018 and in office as of January 2019, is deemed to hold a far-right position. President Bolsonaro has demonstrated a liberal tendency in choosing his cabinet ministers, which indicates the continuation of flexibility in the labour laws. He intends to reduce bureaucracy and costs, putting in place an agile and cost-efficient administration with fewer ministries. In the next four years more changes to the labour legislation are expected in order to make it more flexible. 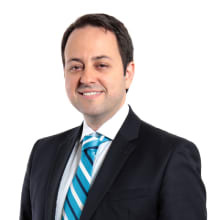 1 Vilma Toshie Kutomi and Domingos Antonio Fortunato Netto are partners at Mattos Filho, Veiga Filho, Marrey Jr e Quiroga Advogados. 2 per cent for medium risk and 3 per cent for high risk), and around 5.8 per cent that goes to other entities such as SENAI, SESC and SESI.